This 2018 COLA will boost the average military retirement check for an E-7 with 20 years of service by $46 a month -- and retirees have Hurricane Harvey to thank for that. 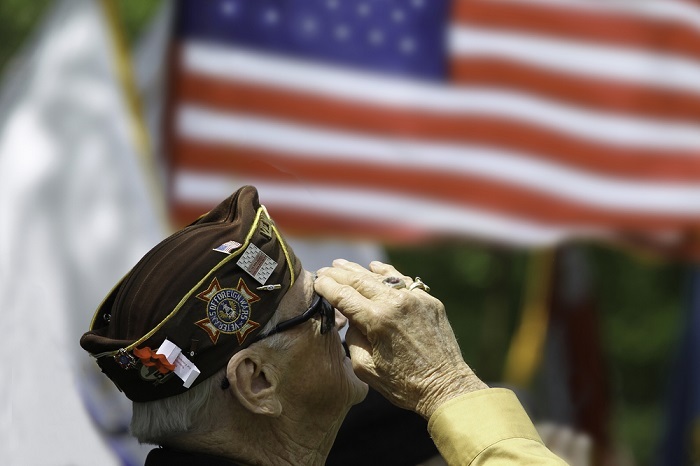 Military retirees, VA disability recipients are getting raises. And not just raises, but the biggest raises since 2012. A report in Military.com says that military retirees and those who receive disability checks and some other types of pay from the Department of Veterans Affairs will receive a 2 percent pay raise in their monthly paychecks in 2018. Unlike last year’s 0.3 percent cost of living increase, this one will amount to more than a $4 monthly benefit increase for the average retiree, or about $48 per year. In fact, it could come to as much as $310 a month for those at the top of the retirement pay charts. This COLA will boost the average military retirement check for an E-7 with 20 years of service by $46 a month, while an O-5 with the same time in uniform will see an $88 monthly increase. Other groups benefiting from the raise are disabled veterans, with the average VA disability check increasing by about $3 per month for those with a 10 percent rating, and $58 for those rated at 100 percent. Survivor benefit plan beneficiaries, along with those who draw dependency and indemnity compensation, will also see an increase—as will civil service retirees. Considering the size of last year’s COLA, and the fact that in 2015 there was no increase at all, recipients can thank Hurricane Harvey for their raise this year; the increase in the price of gasoline after the hurricane lifted the consumer price index enough to spur this year’s COLA. The COLA affects benefits for more than 70 million U.S. residents, including Social Security recipients, disabled veterans, federal retirees, and retired military members—approximately one out of every five Americans. It’s possible there may be another change to the increase, because Congress is still arguing over how much of a raise active duty troops will get in 2018. Two proposals—one passed by the Senate and one from the White House—mandate a 2.1 percent increase, while another measure passed by the House would instead give troops a 2.3 percent increase. Lawmakers have not yet decided on how much the troops will get, and whether retirees and VA users will get less than active duty personnel. They’re engaged on closed-door negotiations on the matter. However, the COLA already announced doesn’t require congressional action, so they’ll get their raise regardless of how much is decided on for the troops, or when accord is reached.